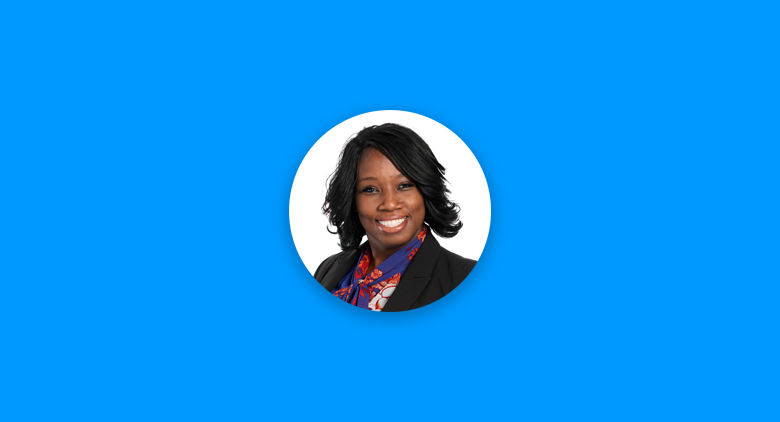 Asheia Hines is a manager of client services and one of the founding members of Namely’s Atlanta office. She’s played a huge role in shaping the new office’s culture and employee experience with her positivity and generosity. That’s why it’s no surprise Asheia has built her career in payroll and HCM administration doing what she loves most: helping people. She uses her industry expertise every day as a manager to advise Namely clients and mentor her team. 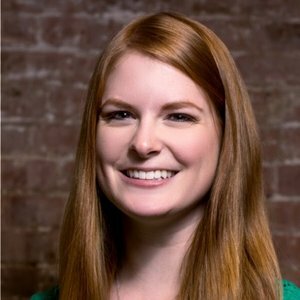 How did you end up in your role at Namely? People are usually surprised to learn that I started out in nursing school. After interning as a registered nurse student for a year, I realized it wasn’t for me. I was working long hours and missing out on my daughter’s life, so I took a step back and thought about what other jobs I could do that would still afford me the opportunity to help others. While pursuing my degree in Business Administration, I started working part-time at Sears Roebuck & Co processing garnishments and implementing process improvements. I asked my manager if I could cross-train and I started to learn payroll. That sparked my interest in finance and payroll and I went back to school to learn even more about the field. One job led to another and ultimately, I found my way to Namely. What I love about Namely is that every day I not only get to grow personally and professionally, but I also get to help our clients and my teammates! What’s your favorite thing about your role? I love that Namely still has the spirit of a startup even though we’ve grown so much in the last year. Things are always changing and I have a front row seat to see where this adventure will lead next. It’s crazy to think that what started out as a simple idea has grown and continues to grow into a nationwide presence. What makes the Atlanta office unique? Atlanta is known as one of the nation’s largest “melting pot cities” and our office definitely upholds that reputation. We have people from all different backgrounds who each bring their own unique flair to the office culture. Our people team has done a great job instilling our values into the Namely experience, but as far as office culture is concerned, they never pushed us to mirror any of the other offices. We’ve had the opportunity to be ourselves and create our own culture. What does your average work week look like? It’s very busy—especially this time of year—but it’s also fun and exciting. Most of my day is spent in meetings and addressing client escalations. The rest of my day is spent problem-solving and resolving customer questions. The feeling you get when you resolve a client issue makes it all worthwhile. Is there something that would surprise people about your job? People are always shocked to hear we have free snacks in the office! On that note, what’s your favorite office snack? Gummy bears. I love gummy bears! If you weren’t in this role, what would you be doing? If I didn’t have to work, I would be traveling the world. I think most people travel to learn and experience something new. When you come home, you’re a different version of yourself. That experience is something that no one can take away from you. My dream vacation is Bora Bora—hopefully, I’ll make it there soon! What’s your favorite thing about working in client operations? I love the autonomy that we have. We have free rein to serve our clients any way we see fit to give them the best possible experience with our product. What's something your co-workers don't know about you? I love to bake from scratch and cook! It is therapy for me! Do you have any advice for someone who wants to do your job? You need to be very patient and approachable. As a manager, you have to be able to pick up on non-verbal cues and be very in-tune with the people you manage. Having an open mind and being a strategic, critical thinker will get you far, too. I love to read. I have my own book club. I also like roller skating. 2018 was an exciting year for us. Namely opened the Atlanta office and my team and I all started together in the same training class. We all learned the product and practiced service calls and emails together as a team. Learning Namely felt like such a huge accomplishment and it’s been incredible seeing our team grow and improve over time. Who has inspired you to get to this point in your career? My children. I have three beautiful children. Everything I do in life, I do for them. I want them to see my resilience and drive and have that inspire their own careers and lives. They are my entire world and inspire me every day to be better than I was yesterday! Anything else you want to share about yourself or Namely? I love working at Namely and I am happy to be on board and help take this company to the next level. At Namely, our coworkers are one of the top reasons we love what we do. The Meet Namely series spotlights real Namely employees across the company. Stay tuned for more from the series to learn how we put HR for humans into practice.